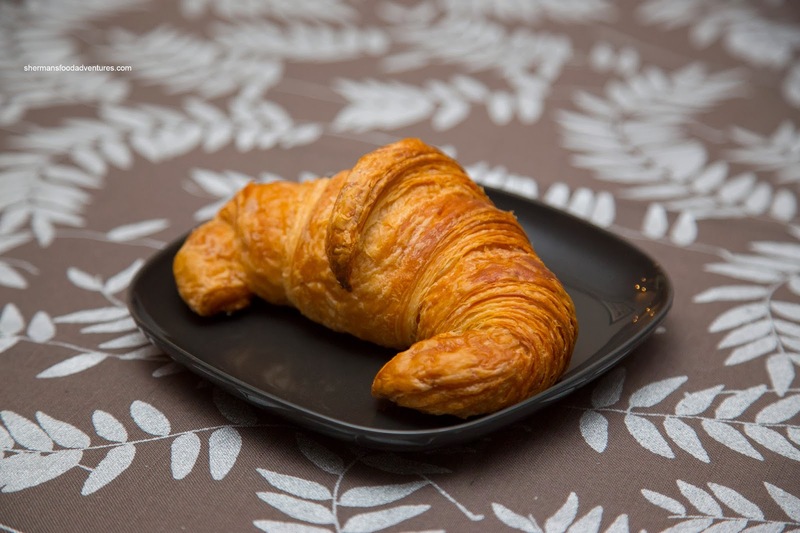 We started with the Croissant and it was indeed flaky and crisp on the outside. Although buttery, I would've liked it a touch more airy inside. Regardless of this, it was a pretty solid croissant. 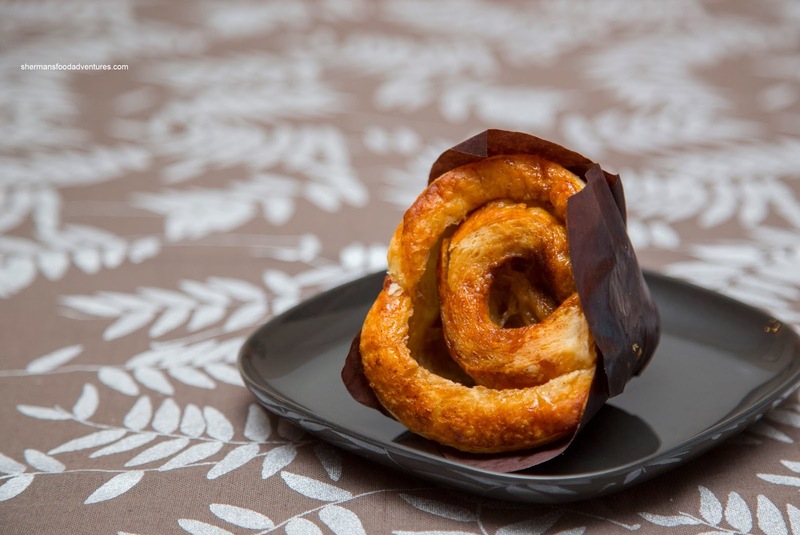 I still happen to like the one from Faubourg and Chez Christophe more (Beaucoup makes a good one too, but I didn't have a good experience last time). 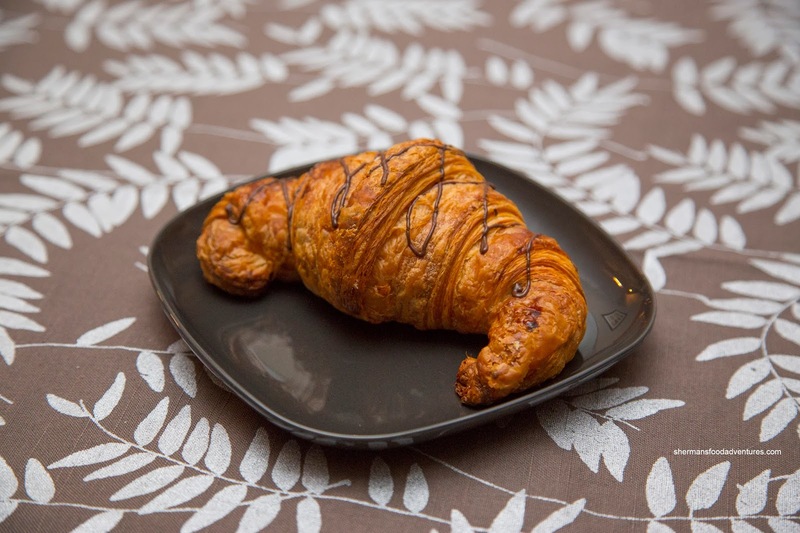 Naturally, the Chocolate Croissant was equally crisp and in fact, crispier. The interior was exactly like the regular croissant. Hence, the chocolate got a bit lost within the density. Again, a good offering nonetheless. 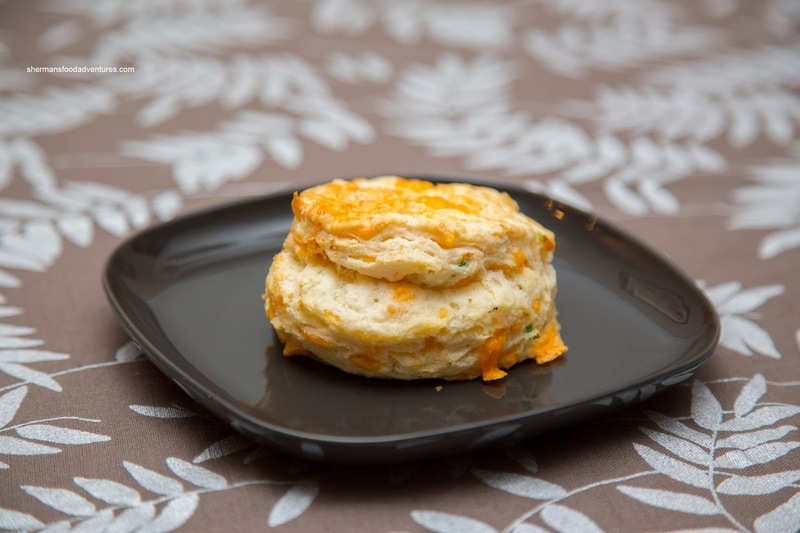 Continuing on the topic of dense, I found the Savoury Cheese Scone to be on the heavier side. I did like the exterior as there was a light crunch and saltiness. However, there were pockets of saltiness here and there which were a bit too much. Fortunately, there was not an overabundance of cheese, which lessened the effect. The herbs including green onion added a nice background flavour though. 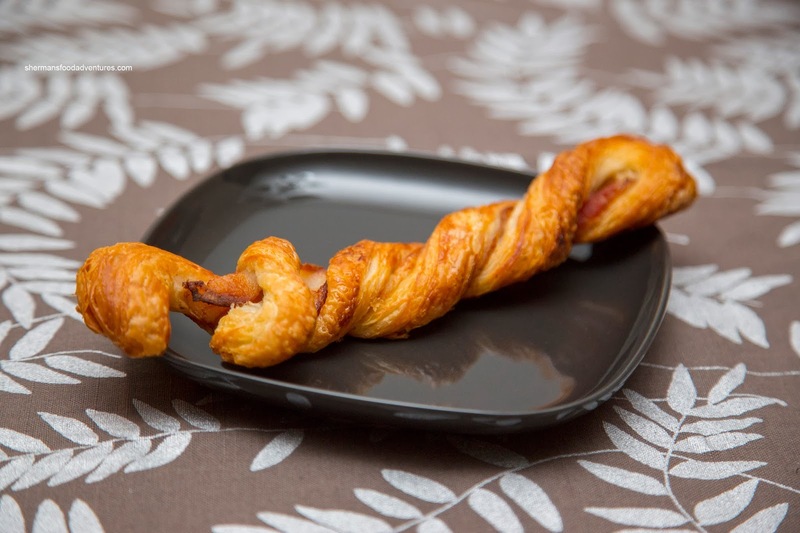 The kids fought over the Bacon Twist as it was lightly crispy with plenty of buttery goodness. Adding to the mix was a strip of bacon which added both saltiness and chew. As for the Cinnamon Bun, it was also appealingly firm on the outer ring of bread while soft on the inner portion. Naturally, it was sweeter and stickier as it got closer to the middle and bottom. Although plenty sweet, I found it not sickeningly so. Furthermore, the cinnamon was not overwhelming. 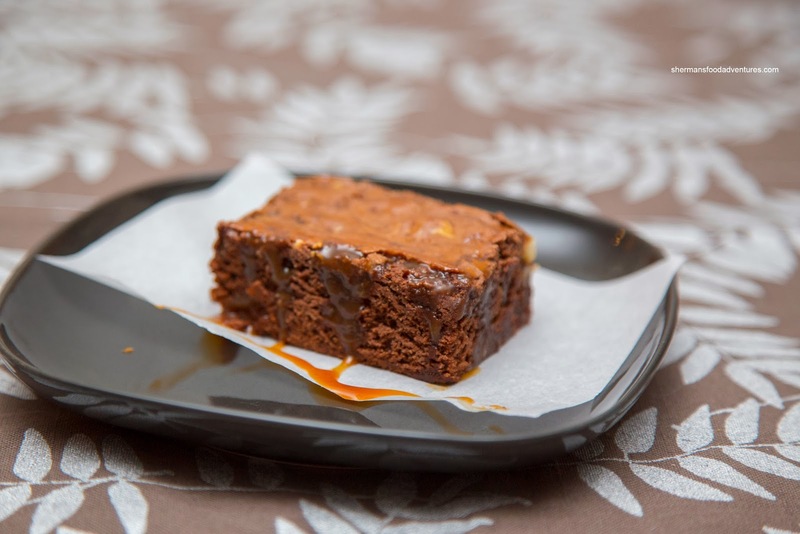 My favourite of the bunch was the Brownie as it was just dense enough to give a rich chocolaty texture without resembling fudge. Hence, it was closer to a heavy cake. It was topped with salted caramel that made up for the mild sweetness. 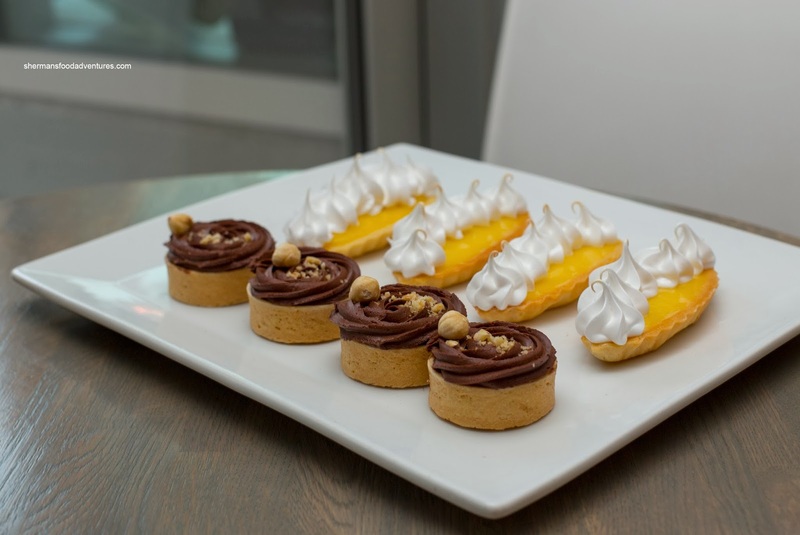 Since I was there for the food tour, I also got to try the Praline Mini Tartlet and Lemon Meringue Tartlet. I liked the firmness of the tart shells as it held up to the fillings. The lemon curd was both mildly sweet and tart. I found the chocolate and the hazelnut in the praline tart to be appealing and balanced. It wasn't too sweet while I could get the aroma of the nuts. 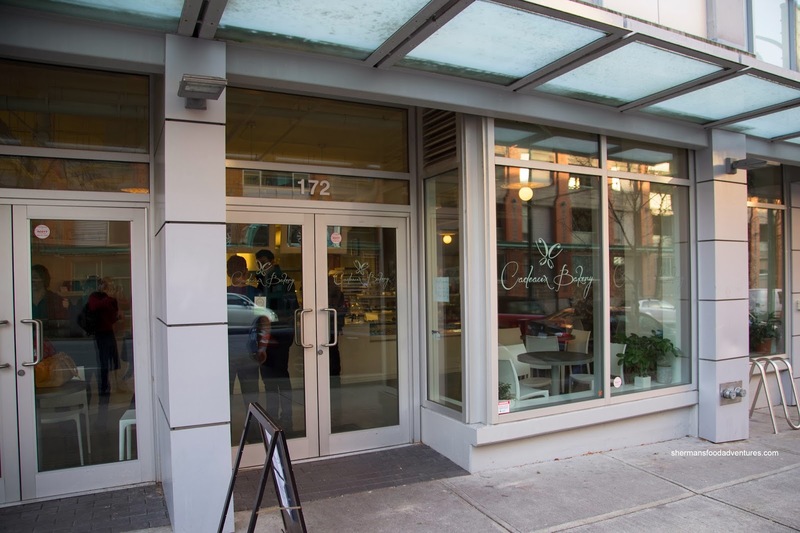 So from the diverse array of goods we tried at Cadeaux, nothing was particularly outstanding (except the kids loved the bacon twist), however, everything was more than acceptable.